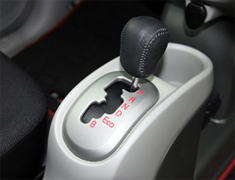 If you have an automatic gearbox we have a new service to change the fluid in automatic car gearboxes. 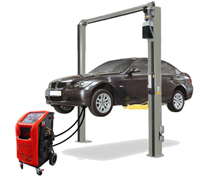 Longham Motor Engineers is a garage located in Ferndown, Dorset, offering a comprehensive range of garage services to vehicle owners in Wimborne, Ferndown, Dorset and Ringwood. Live in Wimborne or Ferndown and need an MOT? We are just down the road. Our MOTs are the best value in the Wimborne and Ferndown areas. At Longham Motor Engineers we have three fully qualified MOT testers. All our vehicle mechanics work to a very high standard. Our modern, fully equipped workshop includes the most up to date motor servicing and diagnostic equipment. We are very proud to be a member of the Good Garage Scheme. See our Servicing page for more details. You can visit The Good Garage Scheme website to see customer feedback from our clients. Dear Ian, Last week I spoke with you regarding my father-in-laws Vauxhall Corsa. Vauxhall at Branksome had carried out a diagnostic on the engine and only had bad news to report. They said the work required would take a minimum of eleven man hours and would cost a minimum of one thousand five hundred pounds.You seemed surprised when I told you this and so I put an immediate stop on any works to be carried out by Vauxhall. On Friday afternoon , we brought the car over to you and yourself and one of your mechanics immediately came to assist us. Having then driven the car, you acknowledged that the Supermarket fuel that my in-laws have been using is not good for the engine and has caused a block. However, the block would not cost a minimum of £1500! You put two tubes of fuel cleaner into the tank, advised my father-in-law to take the car for a good run and sent us on our way. I cannot thak you enough for your professionalism and honesty. To think a main dealer tried to rip off my father-in-law for so much money and yet you cured the issue for the price of two bottles of fuel cleaner and could not have been more helpful. I will not hesitate to recommend you and thank you again for saving my father-in-law a small fortune, that he simply doesn’t have. I wanted to write to thank you for servicing my wife's car recently. You took into account that the vehicle does only low mileage in and around the Ferndown area and as such, needed very little attention. You restricted the service to the bits that really needed replacing, for example the pollen filter given the dusty roads we use in Ferndown, whilst the spark plugs were simply cleaned up and put back for another year. You drew my attention to tyres that were still just legal, whereas any other garage local to Ferndown might well have just replaced them without reference. You certainly gave value for money and lived up to your strap-line "Gain a Pounds to save pounds". I have no hesitation in recommending you to friends and contacts alike, in Ferndown and the surrounding area. I am writing to say a big thank you for the way you have looked after our three cars for the last four years. Long may it continue! We live and work on the outskirts of Wimborne and know lots of people in the Wimborne area who use your service – for very good reason. We always try to promote your business as the service you give is excellent. You have always been very reasonable with your pricing and we appreciate that you always do your best to look after our wallets without cutting corners. We have never had reason to complain and you have always been able to resolve any problems quickly and efficiently. Read Insurance Brokers Ltd, Wimborne, Dorset. A word of thanks. I am writing to say a big thank you for the way you have looked after our three cars for the last four years. Long may it continue! We live and work on the outskirts of Wimborne and know lots of people in the Wimborne area who use your service – for very good reason. We always try to promote your business as the service you give is excellent. You have always been very reasonable with your pricing and we appreciate that you always do your best to look after our wallets without cutting corners. We have never had reason to complain and you have always been able to resolve any problems quickly and efficiently. Thank you once again. Yours faithfully, Peter Read BSc(Econ)ACII Director Read Insurance Brokers Ltd, Wimborne, Dorset. I would like to thank you and all your staff for all you have done for my daughter on her Vauxhall Zafira. Your honest and direct approach has been very much appreciated as well as your "nothing is too much trouble" attitude. This is not only from yourself but all your staff. I would and do not have any qualms on recommending you and your garage to whoever I can. I can’t thank you enough for your help on Wednesday 20th when my daughter’s car broke down the day before we were due to go away. Your initial help was brilliant recommending a firm to transport the car to your garage and then having everything fixed and ready to go by close of play on the same day. This enabled us to go away on the Friday and saved me over £300 on hiring a car. I always use your services and I would have no hesitation in recommending you and your team to anyone. My VW headlights had been fogging over for some years, some sort of canker in the plastic which made it quite dangerous to drive. I had refrained from having it done properly due to the potential cost, which I knew would be around £300 from a quote from my previous garage. However, things got so bad one night en route home from Gatwick that I decided I couldn’t wait and went to Ian to have them sorted out. The job was excellent, the price astoundingly cheap, and the future is now very bright rather than rather dim and dangerous. I also took my car in to Ian for its MOT and service in March and had put about £1000 aside since the advisories by the thieving, robbing, frankly dishonest (as I now realise) garage I have been using for the past five years had mentioned no end of worn out CV joints, oil leaks and perished something-or-others. To my utter amazement, the total cost was just over £200 which included a pass-first-time MOT at £45 and the rest on a great service which I was expecting anyway. I am delighted with the service, smile and savings to be had from Ian and his team at Longham Motors. Top job and thankyou Ian. Pounds by name but pennies by nature!